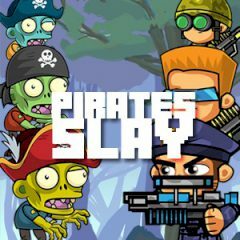 Are you ready to face these terrible pirate zombies? Use your weapons to kill them. Have you ever wanted to kill all zombies in the world? This time you have to deal with pirate zombies, which you find elsewhere.